IOaB Named One of Best MS Blogs + New NMSS Blog is LIVE! – it's only a bruise. IOaB Named One of Best MS Blogs + New NMSS Blog is LIVE! 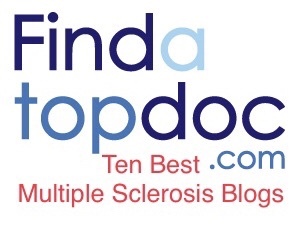 It’s Only a Bruise was recently named one of the best multiple sclerosis blogs by Medical News Today. Thank you so much for helping to make IOaB everything that it is and be sure to check out the other featured blogs on this list. As many of you know, I also write articles for MS Connection, the National MS Society’s blog (which also made Medical News Today’s top list–congratulations to all contributing writers) and my latest post is live, in which I discuss owning your MS and the invisibility that comes with it.